Tao. . 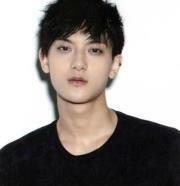 Images in the Tao club tagged: awesome cool handsome hot tao 2012. This Tao icon contains चित्र, headshot, closeup, हेडशॉट, and क्लोज़अप. There might also be अवकाश पहनते and अवकाश पहनना.